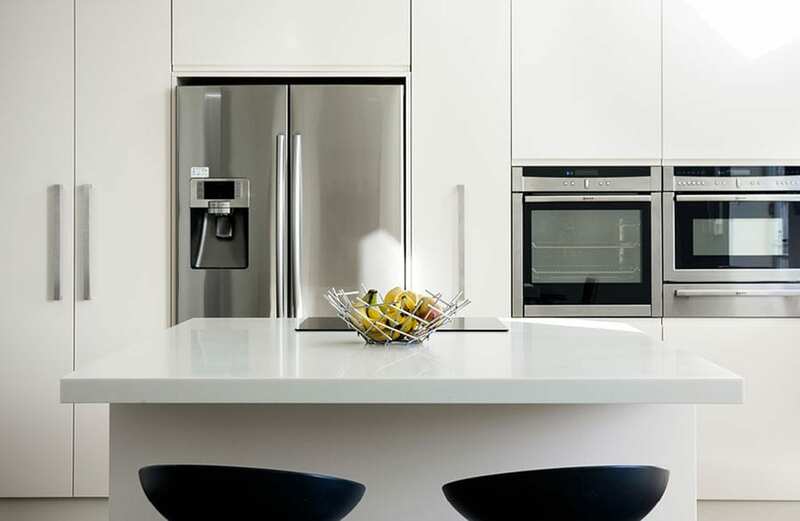 We supplied and installed the entire kitchen including appliances and accessories. Stainless steel has been used to add another dimension to the space, reflecting the natural light and surrounding surfaces. 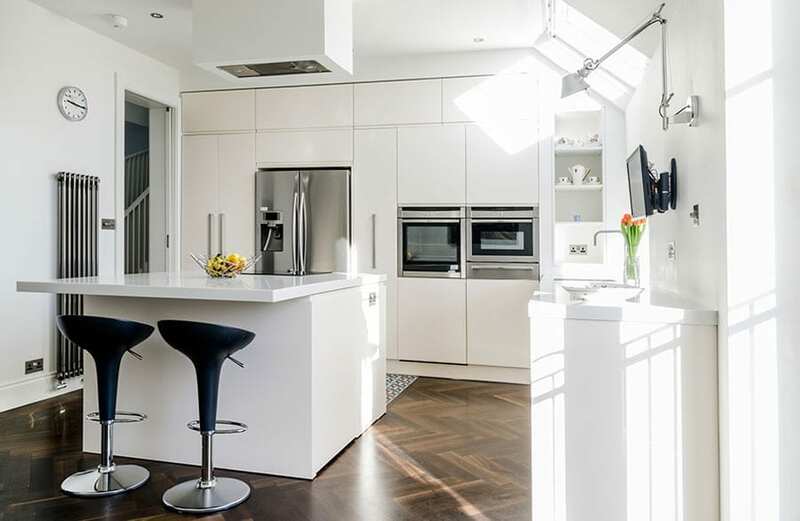 The compact kitchen island creates a focal point and offers a natural flow around the space. 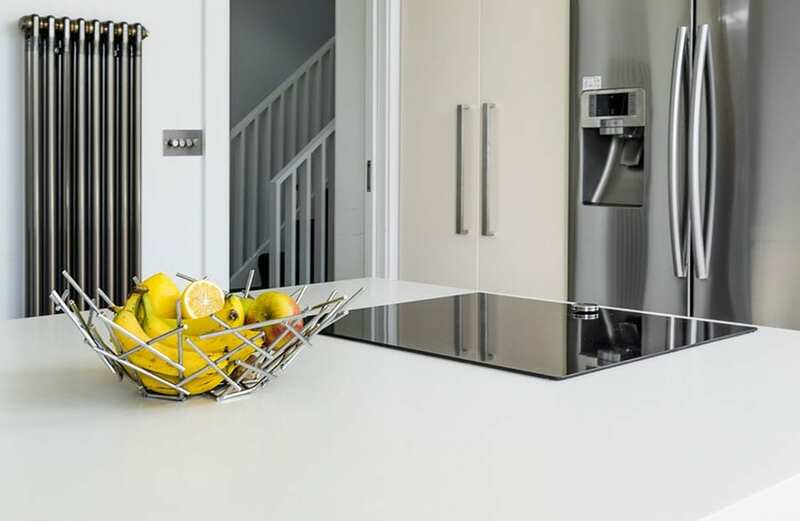 All cabinetry has a lacquered finished, with a Corian worktop.